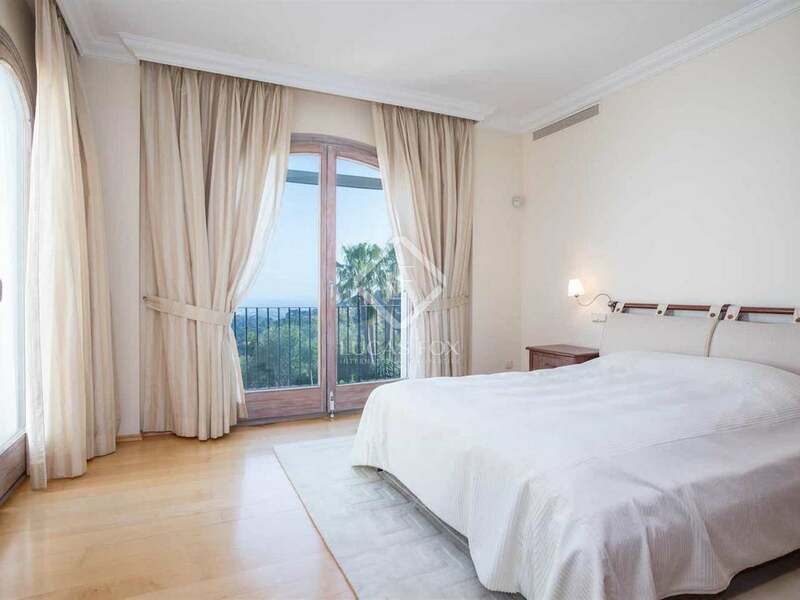 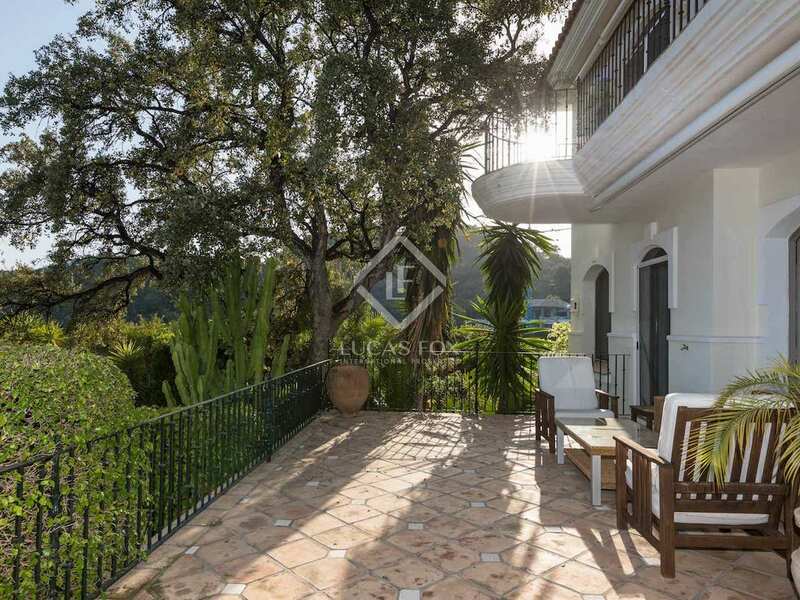 Fantastic hillside villa in the exclusive La Zagaleta urbanisation overlooking the Costa del Sol. 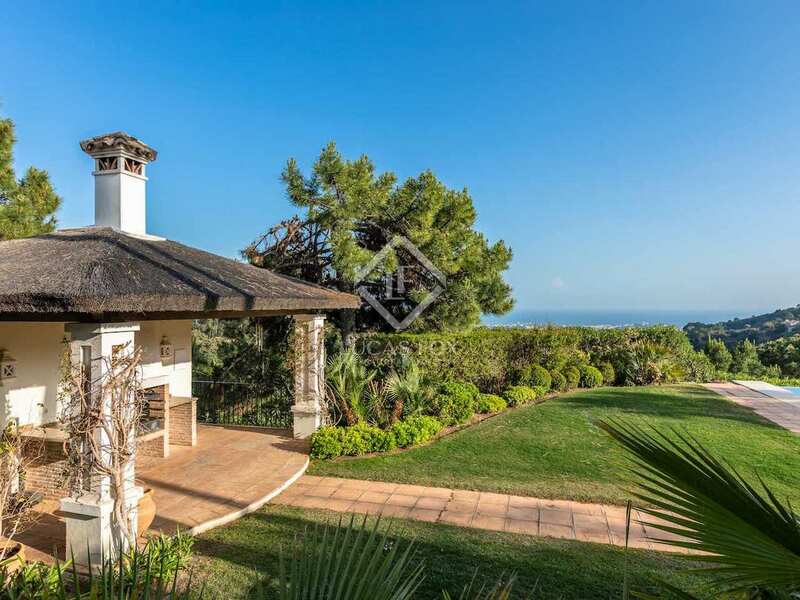 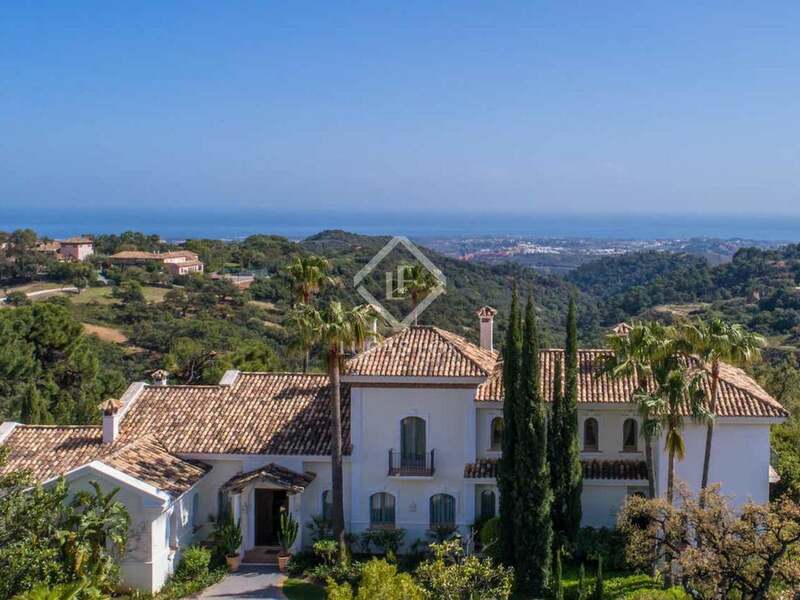 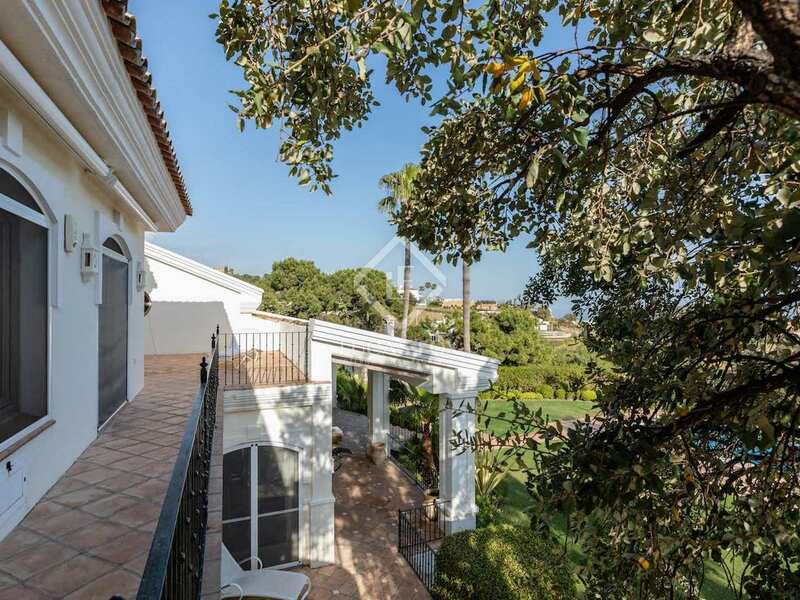 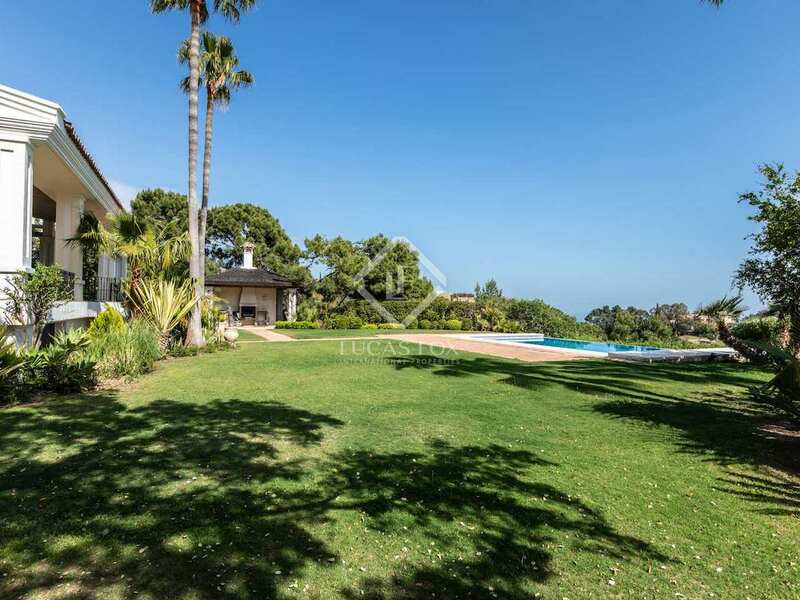 Set in the beautiful rolling hills of Andalucía near Marbella, this stunning villa enjoys the security and seclusion that makes La Zagaleta a first choice for discerning buyers looking to enjoy the perfect lifestyle on Spain's most glamorous costa. 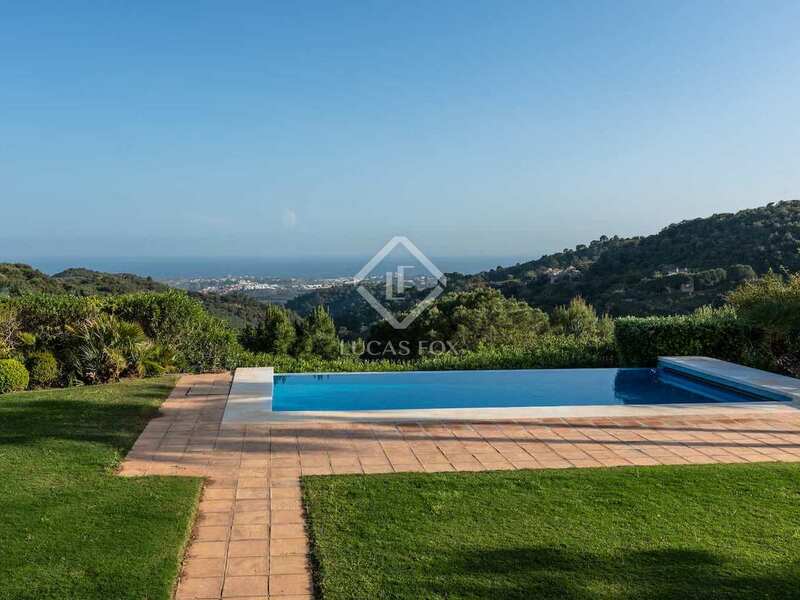 The views from the beautiful homes set in the lush 900 hectares of La Zagaleta country estate are stunning and panoramic, and the only neighbours are other top-end properties generously spaced to ensure that everyone shares the same relaxed sense of tranquillity and solitude. 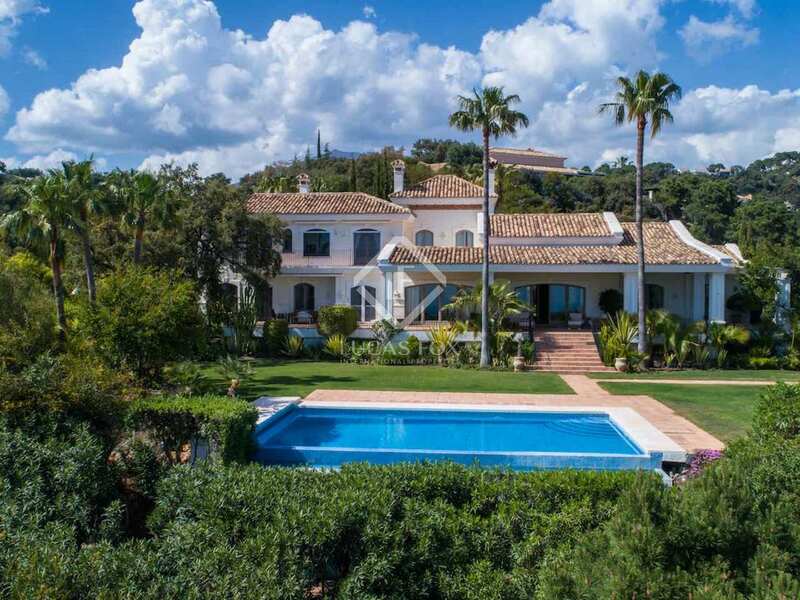 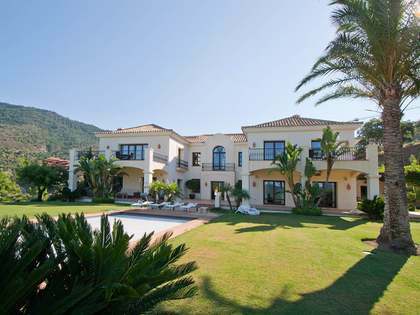 The classic design of this villa is imposing but homely and the mature gardens and grand approaches deliver you to the front of the house, ready to open the door on those magnificent views across the gardens to the mountains and sea beyond. 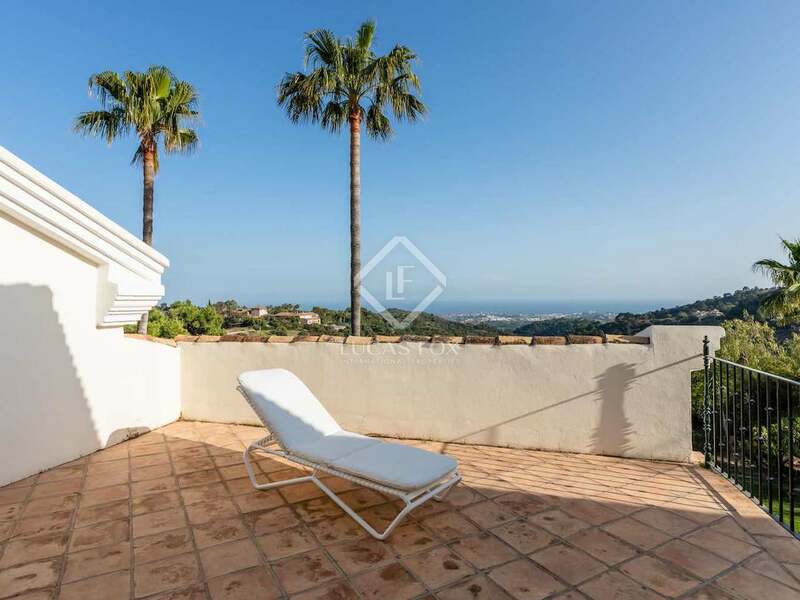 There are plenty of covered and uncovered terraces from which to take in the sunsets, entertain, enjoy some breathtaking al fresco dining or simply chill out. 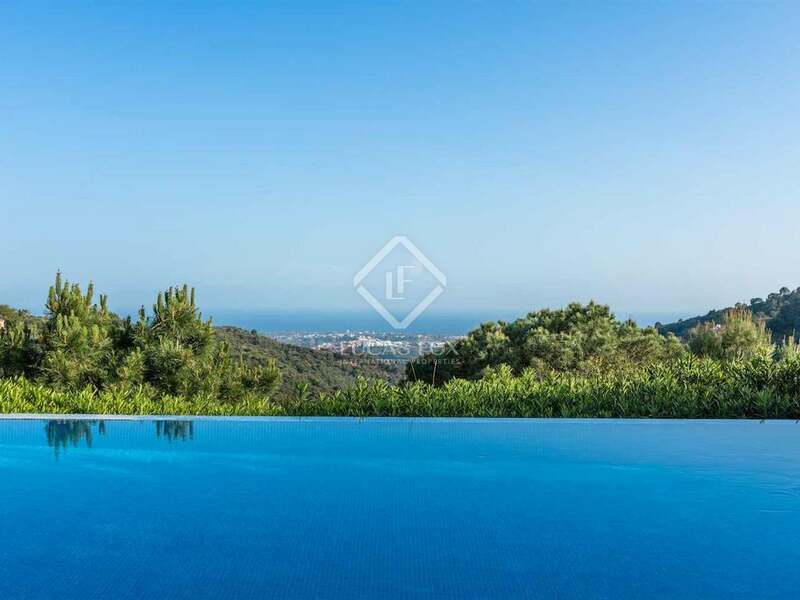 Of course, the wonderful infinity pool is also perfectly positioned for relaxing and making the most of this exclusive mountain location. 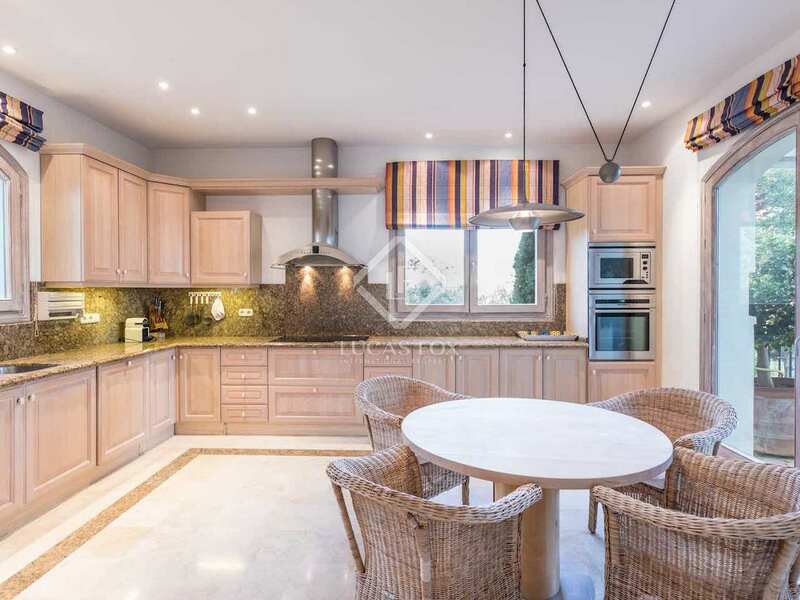 Cooking enthusiasts will appreciate the barbecue area, which is particularly impressive and more like a separate building, while the automatic watering system ensures that the garden is always in excellent condition. 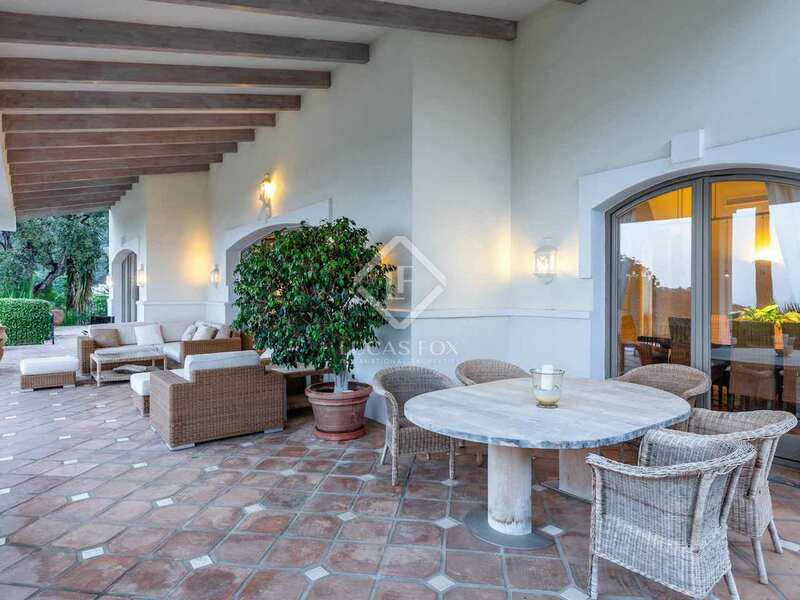 The house is finished to exceptional standards and oozes elegant luxury. 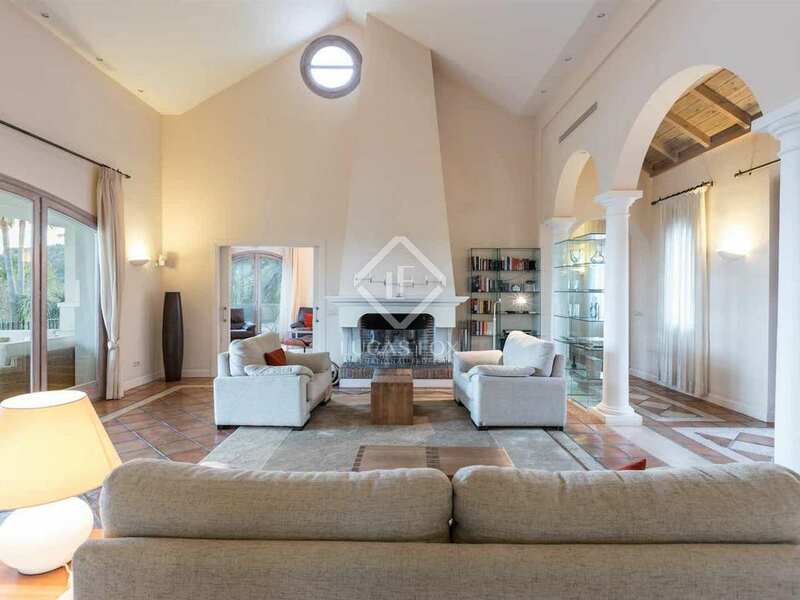 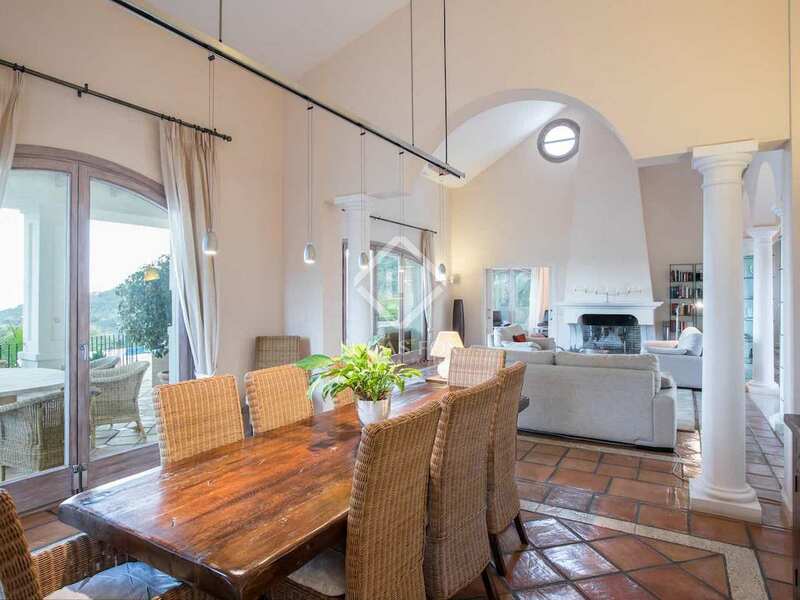 There is plenty of space, high ceilings and large windows and doors to let in maximum light and bring the outside in, while classic design cues include terracotta floors and wooden beams. 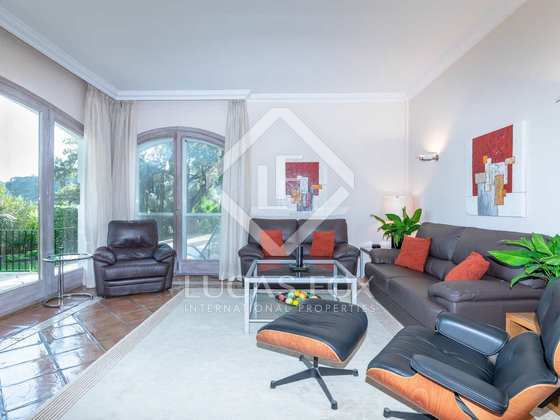 Other key features include a fully equipped staff or guest apartment with a separate entrance and a 4-car garage. 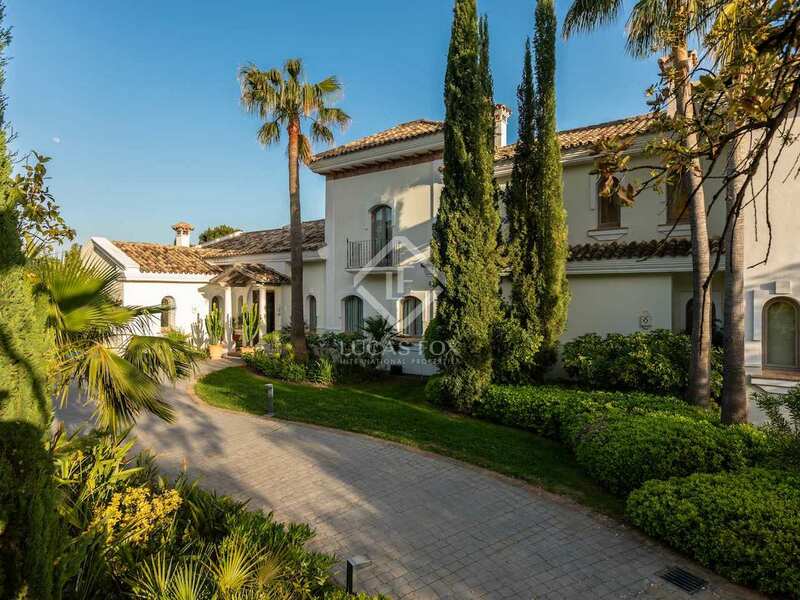 The La Zagaleta gated community has excellent security and facilities including great restaurants and a championship golf course. 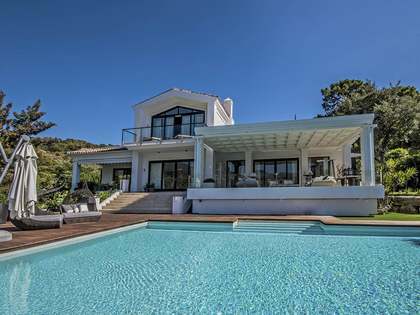 The La Zagaleta urbanisation has been carefully designed to provide a privileged few residents with the space and security they need to enjoy magnificent homes in a truly stunning setting. 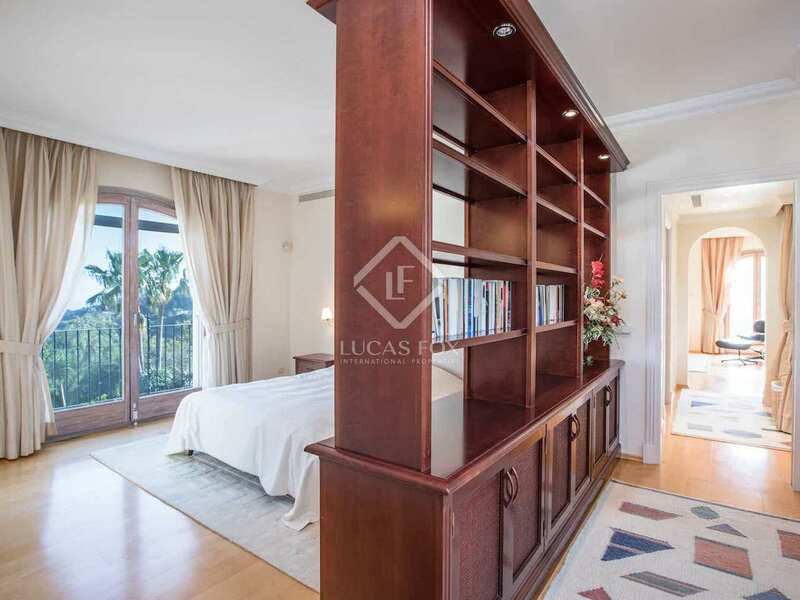 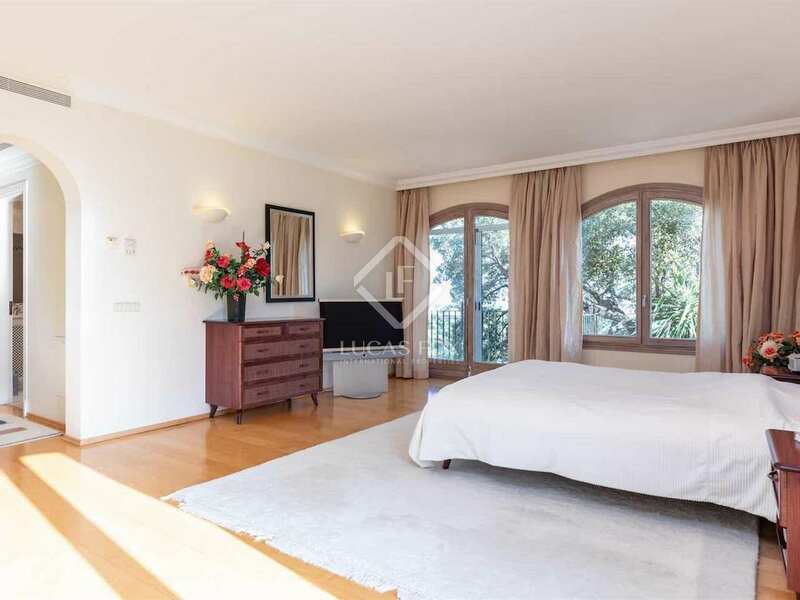 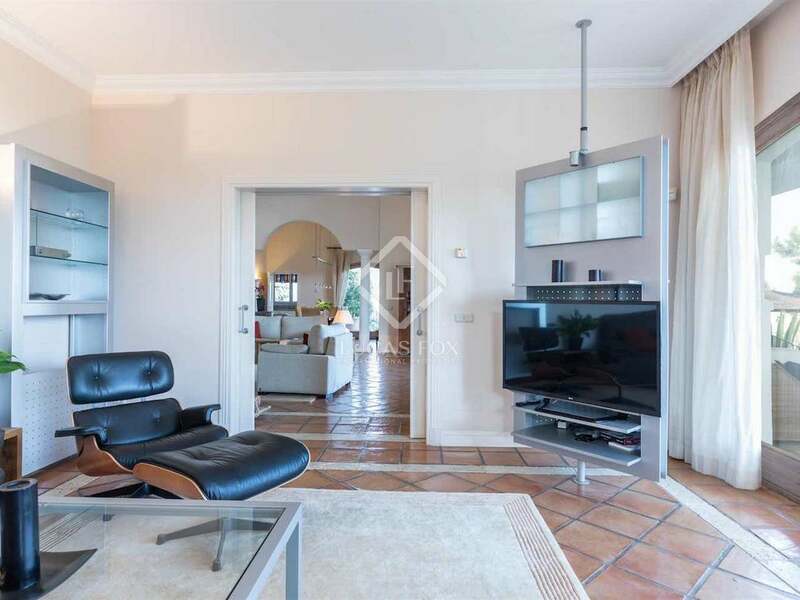 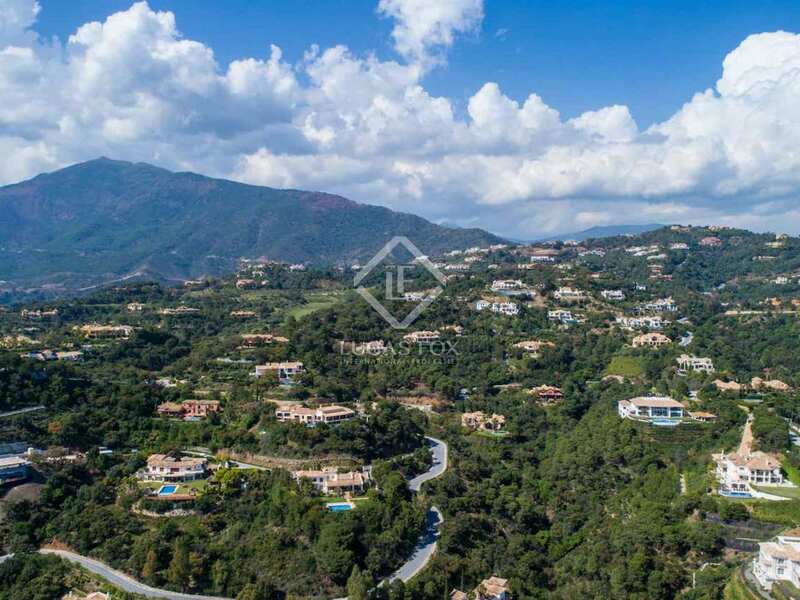 As well as a very light density of grand properties, this regular choice for the rich and famous also offers high security, a 36-hole championship golf course and a range of facilities for the exclusive use of residents. 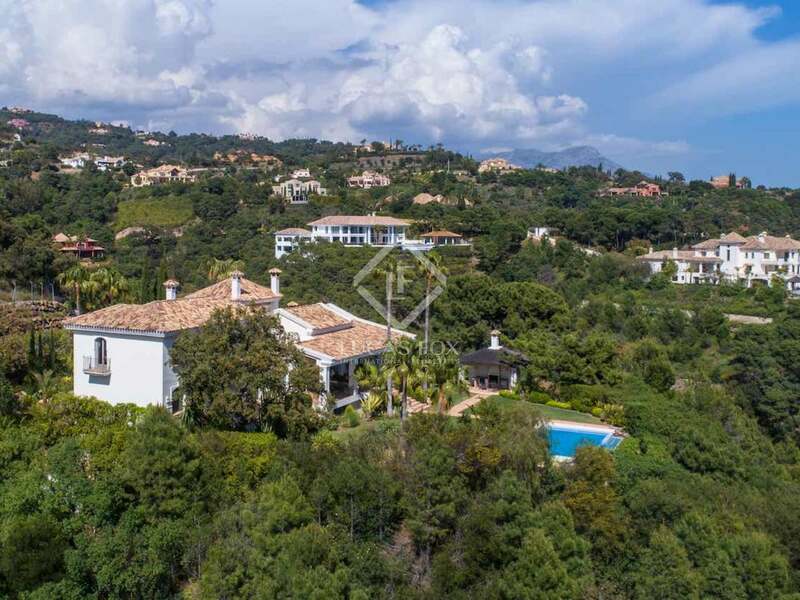 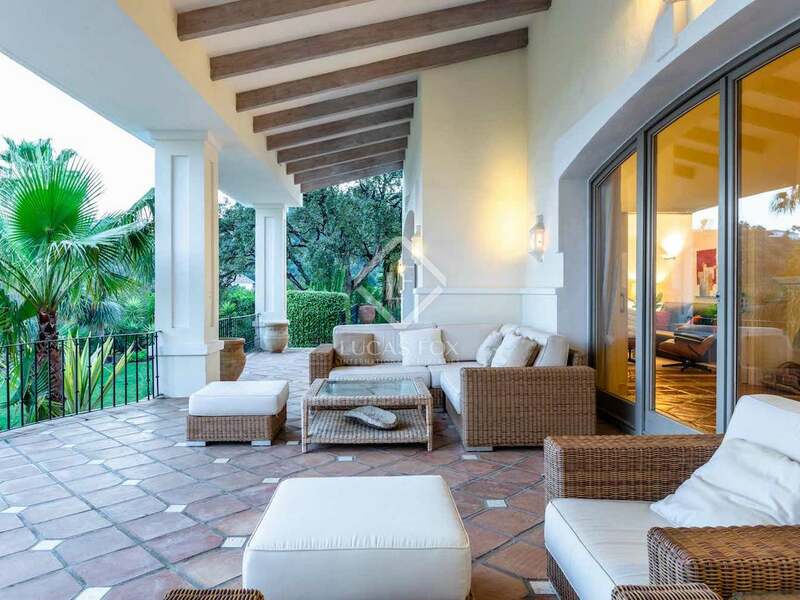 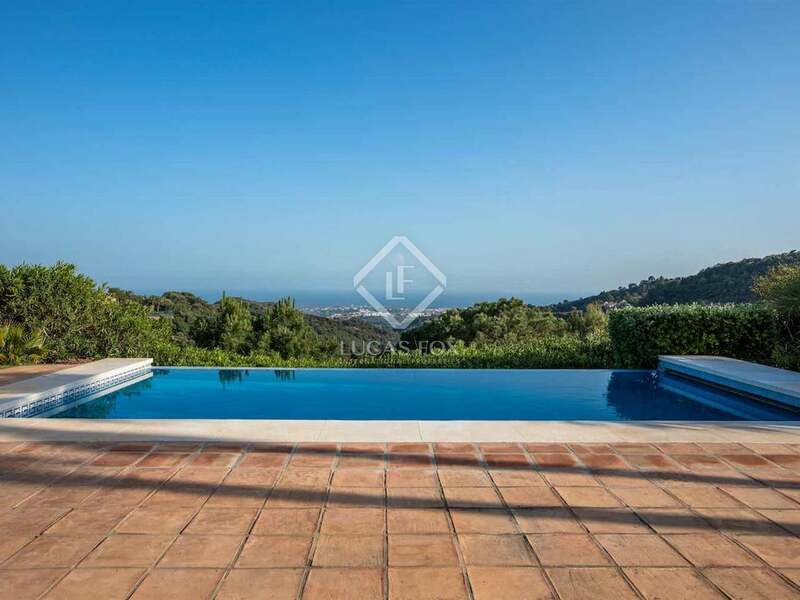 This villa is a true oasis of calm in the hills, but it is also within easy reach of the key hotspots that define the famous and luxurious Mediterranean lifestyle of the Costa del Sol. 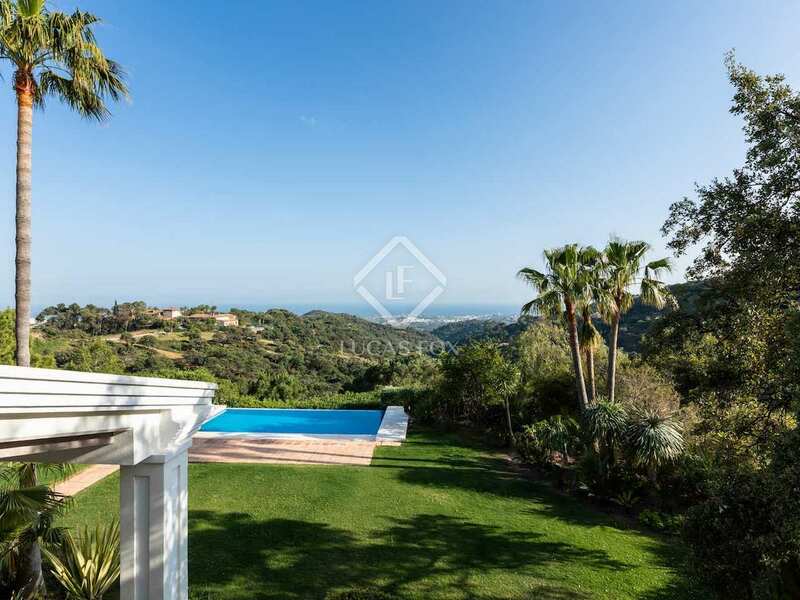 Marbella is less than half an hour away by car and Puerto Banús, home of the spectacularly excessive superyacht set, is even closer. 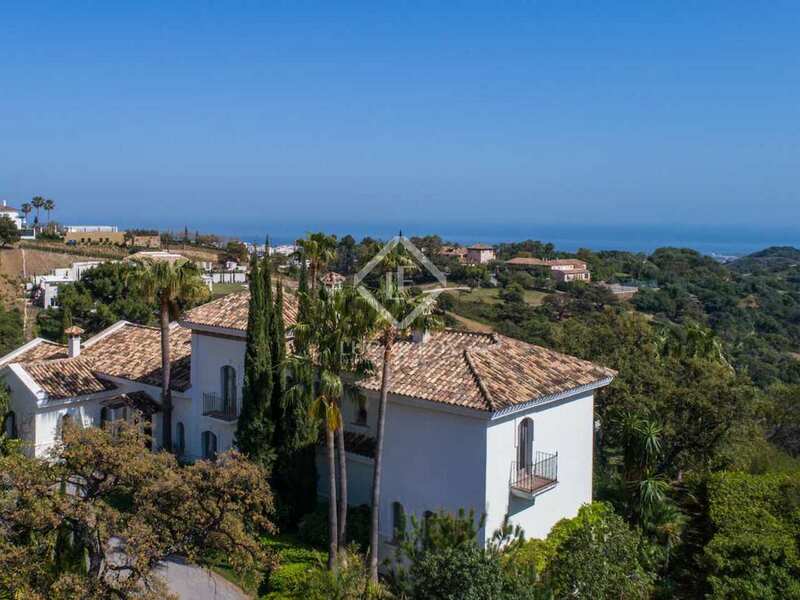 Outdoor pursuits are legendary too, and include a wealth of excellent golf, tennis and other sporting facilities, as well as plenty of opportunities for shopping, socialising and making the most of the fabulous climate at the beach. 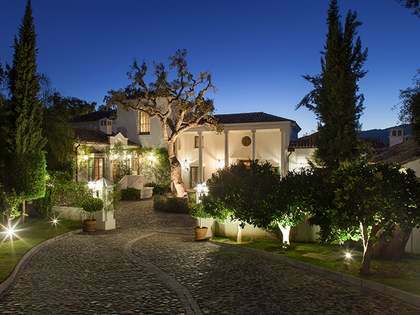 The great road network makes the rest of southern Spain easy to access, and Malaga and its airport are less than an hour away along the coast.